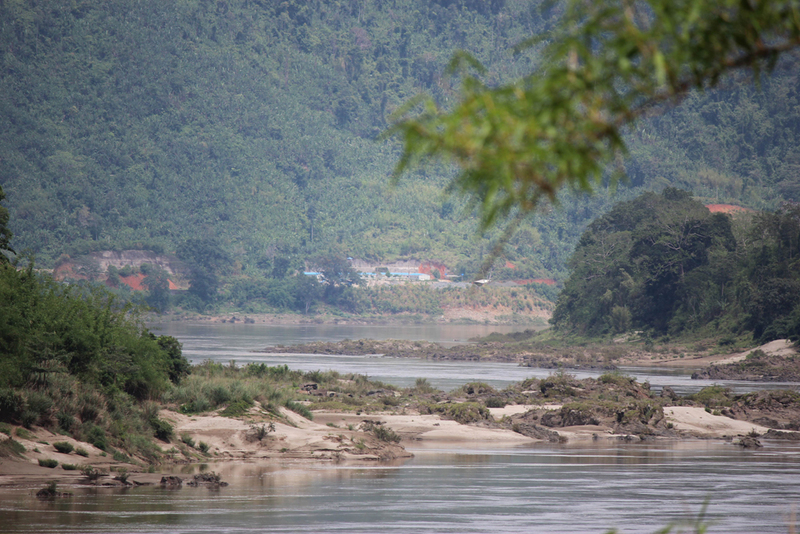 The Burma Rivers Network (BRN) has called for a halt to hydropower dam projects, special economic zones and natural resource extraction in ethnic areas where conflicts are raging, until the country has reached a federal peace agreement. BRN released a documentary video, “Voices of the Dammed,” on Wednesday, compiling the devastating impacts of dam projects along Burma’s biggest rivers: the Salween, Irrawaddy, Chindwin, Shweli and the Paung Laung. Findings from BRN’s two-year documentation process—conducted from 2014 to mid-2016—indicated that both completed and planned dam projects have diminished local people’s livelihoods and security as well as destroyed thousands of homes, historic cultural sites and ecosystems. Representatives of the network will soon share their concerns with the relevant authorities in Burma’s capital of Naypyidaw, said Mi Ah Chai, the coordinator of BRN. Mi Ah Chai told The Irrawaddy that despite the security challenges faced by organization members collecting information in conflict zones, the plight of the relocated villagers was worth recording. In northern Shan State, the local Ta’ang, also known as Palaung, communities near Shweli River’s No.1 dam have reported facing grave human rights violations related to the presence of the Chinese-owned dam, which has a 600-megawatt capacity and was completed in 2008. This included allegations of forced labor by the Burmese military, forced marriages of local women to soldiers, and confiscation of farmland. Locals also claim that the Burma Army’s Infantry Division 144 continues to launch daily artillery attacks against the ethnic armed groups in the area. The network questioned why the current civilian-led government would restart or continue such projects. “If the French-funded Shweli No. 3 dam goes ahead, this will cause more conflict, human rights abuses and displacement and will threaten the peace process,” said Mai Amm Ngeal of the Ta’ang Youth and Students’ Union. The proposed dam would be even bigger, with a 1,050-megawatt capacity. In Sagaing Division, locals from the area surrounding the 1,200-megawatt Tamanthi dam project on the Chindwin River reportedly received just 5,000 kyats—US$3.77—as compensation after they were forced to relocate in 2007. The India-funded Tamanthi dam project was cancelled under the previous government administration headed by ex-President Thein Sein, but activists fear that the project may be revived after State Counselor Daw Aung San Suu Kyi’s recent visit to India, where bilateral agreements related to power infrastructure and production were signed on Oct. 19. According to BRN, if the suspended Tamanthi project were to be revived, it would contribute to further relocations, as villages housing over 45,000 people would likely be flooded by the reservoir. The BRN urged the government to do a proper review of a number of projects, including the suspended Tamanthi dam on the Chindwin River and the Irrawaddy Myitsone dams on the confluence of May Kha and Malika tributaries. They also recommended a review of six mega dams slated for construction on the Salween River in Shan, Karenni, Karen and Mon states, and those planned on the Shweli and Paung Laung rivers. The organization is also pushing for a review of completed dam projects and a demand that the electricity generated be shared with the local residents. “We need an answer as to whether the hydropower dams are really needed for the electricity supply, as Burma is rich in natural gas and petroleum which could replace [the dams],” added Mi Ah Chai.